Get active on the Isle of Wight. 'Nature is good for you' � it's a prescription for good health, long life and fun. Physical inactivity has serious effects on human health, and outdoor activities particularly walking, offer a cheap and accessible way to better health for all. Time spent in natural surroundings is known to promote a positive outlook on life and enhance our ability to cope with and recover from stress, illness and injury. Wildlife rich natural environments with inspiring landscapes are most effective in promoting sociable walking and a healthier lifestyle. A national scheme working on the Isle of Wight since 2003, the Green Gym offers people a new way of becoming healthier by taking part in nature conservation activities. There is a comprehensive programme covering all areas of the Island, with activities taking place weekly. Tasks vary from pond clearing and butterfly habitat management to felling trees and helping school children make bird boxes. Find out more about local volunteering opportunities. Health walks encourage physical exercise and are led by fully trained local people. Led every week by experienced Walks Leaders, all short walks are fairly level and you can walk at your own pace. You can start walking anytime and anywhere. Walk to your local shops, to school, to work or to the bus stop. Although 30 minutes of brisk walking a day is recommended, you don�t have to do it all in one go to start with. The important thing is that you make a start at a level you�re comfortable with, and then build it up. Walking in a group is a great way to start walking and to stay motivated. You�ll make friends and discover new places to walk in your neighbourhood. 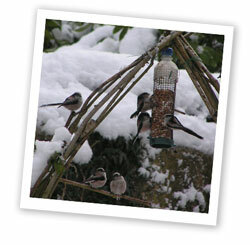 Additionally the Wight Summer and Wight Winter walks leaflets cover health walks and many others. These regular publications feature guided walks and talks by experts from local organisations and groups. Whether you do it whilst looking out of your living room window, spending time in a bird hide or just simply stopping to take a few moments to really see what nature is up to around you, watching wildlife has proven health and general wellbeing benefits. If you’d like to find out what to look out for during each month of the year then ‘when to watch wildlife’ is a good place to start. Or, why not download this recording card and make a note of your observations and once you’ve completed it, send it in to the IW Local Records Centre. Growing your own fruits and vegetables in your garden or allotment provides healthy exercise and nourishing, tasty, fresh food. Want to grow your own but don’t have a garden? 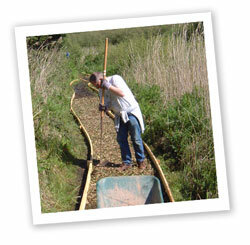 Why not join the ‘Can You Dig It’ training scheme run by The Footprint Trust? The scheme gives new gardeners the ability to grow vegetables and to compost waste. The charity will then try to match up the new gardeners with a nearby garden for them to ‘adopt’ as part of the successful ‘Adopt A Garden’ project. Contact the Footprint Trust on (01983) 822282, or email info@footprint-trust.co.uk to find out more.